Can you say awkward? When House Minority Leader Nancy Pelosi stepped up to the plate to defend Rep. Conyers – who has now been accused by several women of unwanted sexual advances – it was likely that she didn’t see him willingly leaving the House Judiciary Committee. For a woman who claims to be all about women and the cause of feminism, Nancy Pelosi is doing a terrible job of it. While others claim that allegations alone should be enough to destroy a man’s career, Pelosi is now suddenly concerned about due process. She even went as far as to call the man an “icon” and praise his pro-woman work specifically naming the Violence Against Women Act as his crowning feminist achievement. So, he didn’t want to hit women, he just wanted to come on to them, force them to touch him inappropriately, and give them raises and promotions if they gave in to his sexual advances. A real leader, if you ask me. “Cringe-worthy” is the only accurate way to describe Pelosi’s interview with NBC’s Chuck Todd on “Meet The Press” this Sunday. When asked whether Conyers should leave Congress in light of the recent allegations leveled against him by former female staffers, Pelosi’s answer was disappointing, but not at all surprising. She would go on to say that she believes Conyers will “do the right thing.” Okay, but the right thing would have been to not sexually harass those women in the first place, all of whom filed official complaints that detailed a pattern of harassment by the Democratic Representative. But not long after her interview, Conyers announced his leave of the House Judiciary Committee as a ranking member. Perhaps he was feeling the pressure to do SOMETHING, though not necessarily enough to resign as a Congressman. 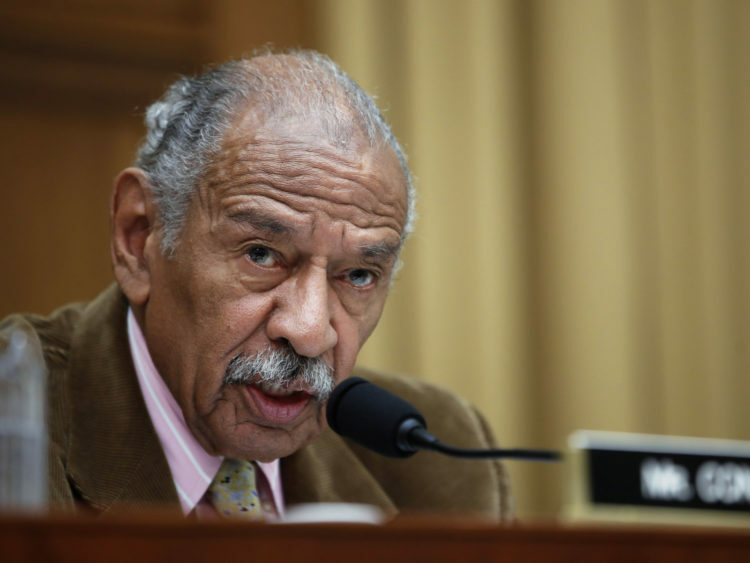 “After careful consideration and in light of the attention drawn by recent allegations made against me, I have notified the Democratic Leader of my request to step aside as Ranking Member of the House Judiciary Committee during the investigation of these matters,” Conyers said in a Twitter statement. Basically, he is just waiting until the furor dies down before he can resume his duties. Nice, huh? It turns out the party of feminism isn’t as pro-woman as they might want you to think.